Infant nutrition is a major concern in many parts of the world, specifically in Sierra Leone and other nations in the region of sub-Saharan Africa. In this part of the world, there is often not enough food to go around. Many of the children who grow up in these areas don't have their nutritional needs met due to the scarcity of truly healthy food. 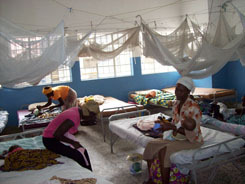 There are many political and economic conditions that will likely prevent this situation from improving dramatically in the near future, and for this reason, if we want to provide highly nutritional food for babies and infants that need this more than anyone else, we need to be able to provide some kind of supplement that will meet all of these health needs. This is not an easy thing to do. First, you need to have all the right information about what nutrients babies in this area lack the most. This is a critical part of the process. If you don't know what items and nutrients are needed, you won't be able to actually provide a supplement that serves as a solution to the issue. We have taken this approach here at BeaVan Charities, and have used our own personal experience to identify the areas where needs remain unmet. We have developed our nutritional supplements in response to these identified needs, which gives us a unique perspective on the nutrition of infants in the area. Second, you need to know where to go to provide these nutritional supplements to the infants and newborns who need them. This can also be a tricky part of the process, and it is another area where personal experience is highly important. This personal experience is exactly what we have, and it is exactly the primary advantage that we bring to the table. We know where the malnutrition wards are located, and we know who to get in touch with the find out what food items are missing and need to be replaced by supplements. We are uniquely situated to do a lot of good for this area of the world by bringing health through nutrition into a region that has faced a lack of good nutrient sources for some time. Third, if you want to make a difference in the world in this way, you need to have a distribution system in place no the ground in the area that you want to reach. Here at BeaVan Charities, we have this as well. We have everything in place to start changing the world. All we need is your help to make this happen. 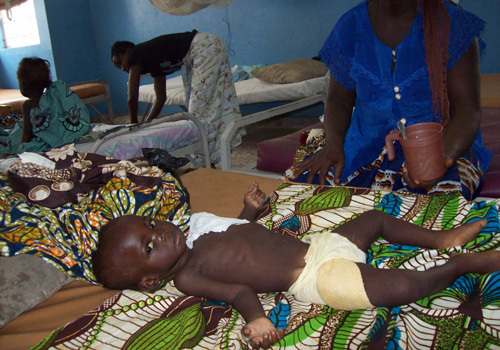 Inadequate infant nutrition in Sierra Leone can be combated. But we need your help to do it. Join us today and help make the world a better place.